As the popularity of mini pigs continuously grow, so do the curiosity of interested pet owners regarding their care. If you are thinking of getting one for yourself, then, for sure, the information below will come handy. What do I need to have to keep a mini pig? This is by far the most essential requirement for people who wish to own a mini pig. Pigs are very social and emotional animals. Caring for them will not only require effort but maximum patience as well. Whether for indoors or outdoors, owners need to have secure and effective enclosure. Outdoor enclosures should be at a minimum of 36sq m. These should be draft-free and waterproof. A big dog kennel or a small ark will usually do. Indoor enclosures, on the other hand, can be in the form of indoor fences properly placed in areas dangerous for small pets. This is a legal requirement essential for purchasing and keeping teacup pigs. Registration for CPH is without charge and applications shall be made to the Rural Payments Agency (RPA) on 08456037777. It should be noted that arrival of documents may take several weeks but numbers can be obtained over by phone within 24 hours. Can I keep my miniature pig as a house pet? Indoor environments are also suitable for miniature pigs but they should not be left alone inside the house when owners are not around. At such times, it would be much better for them to be taken out but within safe outdoor enclosure. Is it okay for teacup pigs to interact with animals of other kinds? Teacup pigs are social animals. They do not only enjoy the company of their owners but of other animals as well. Pigs are herd animals. When left alone for too long, they can develop depression and may eventually turn aggressive. Is it expensive to keep a pet micro pig? Keeping a pet micro pig isn’t really a very expensive venture. Among the weekly costs owners need to pay attention to are specialist pig nuts and treats as carrots, pears, apples and barley straw to be used for bedding. Do teacup pigs need mud pools as well? Teacup pigs need water to play in especially during hot days. However, if you find it troublesome to let them wallow in mud, you can get a small kiddy pool instead. Do they smell and have strong odor? In contrast to what they have been renowned to be, micro pigs are clean animals. As long they get access to outdoor space, they will always opt to toilet out and never make messes indoors or around their sleeping areas. Unlike the typical house pets, dogs and cats, mini pigs do not shed hair. Thus, they do not cause or trigger allergies of any kind. Should I worm my mini pig? Pigs require worming on regular basis. The most recommended would be for every 6 months. Typically, veterinarians will be the ones to supply the medication which can be mixed or added along their daily meals. 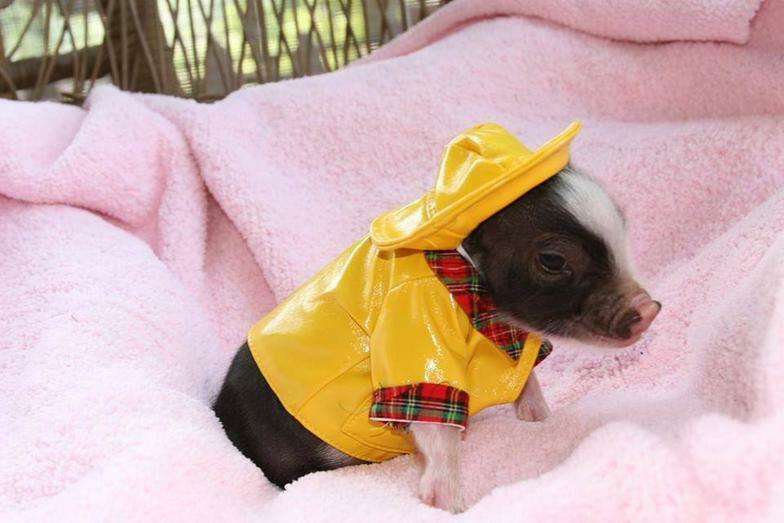 Are you looking for teacup pigs for sale in Texas? Before you think about a purchase, first know about all the zoning laws within your community. There are some city municipalities that do not allow the keeping of livestock animals within homes. It would be a waste and a pity for a pig to be sent to an animal home only because you found out in the end that you can’t keep one.